All ingredients are superior quality. During the gentle production process, they’re not heated any further. The raw fruit and vegetable range – comprising just a few, but therefore all the more aromatic ingredients. Simply tastes like more. 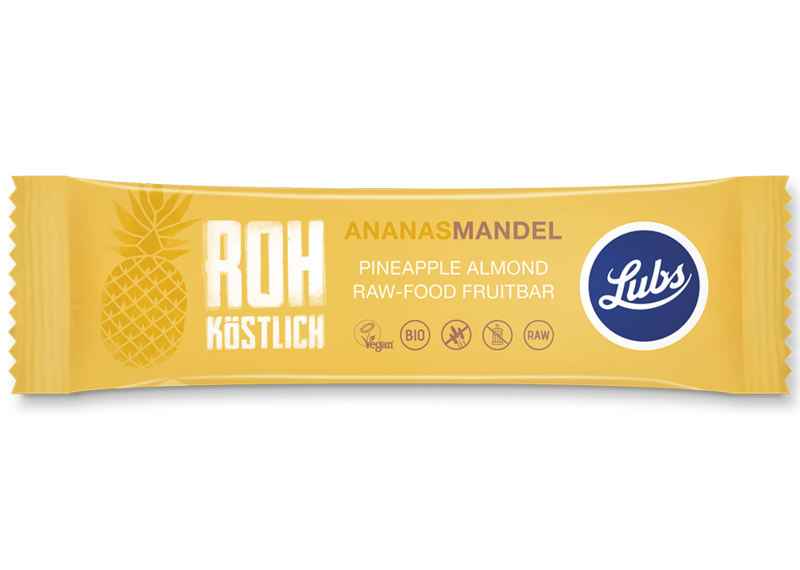 Discover the exotically aromatic flavour of raw pineapple! Raw food cashew nuts, with their delicate, creamy-sweet aroma are a delectable novelty. The „bread of the desert“ – dates – are abundant in minerals. Together they are the stars in the heavenly world of raw foods! 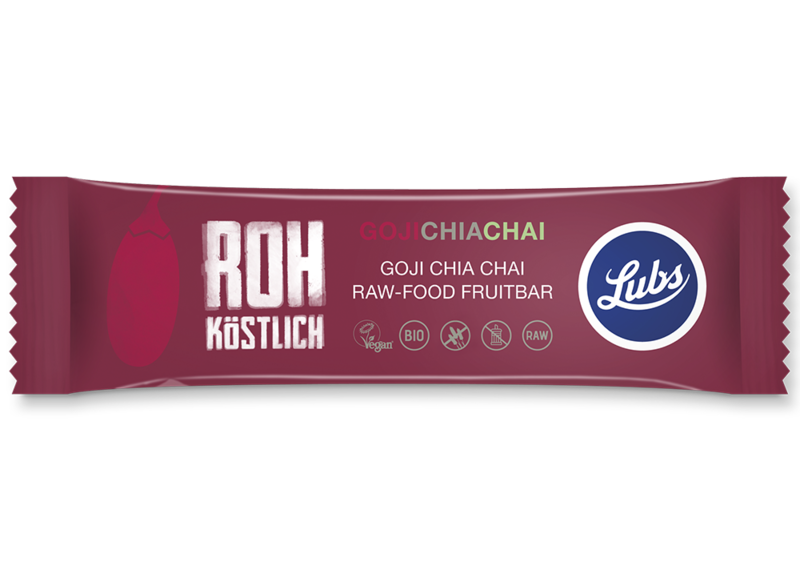 A triple raw food miracle: the vitality of goji berries, the healing force of chia seeds and the agreeable spiciness of chai tea – cinnamon, cardamom and cayenne pepper – work miracles and taste wonderful! You‘ll be happy with raw food: the antioxidant strength of raw cocoa beans, refreshing mint, vegetable proteins (15% protein per bar) combined with crunchy cocoa nibs they are a source of pure unadulterated pleasure.